Identification and ecological assessment of deep-water coral species collected from sediment cores during IODP Expedition 356 (2015). These deep-water coral specimens represent one of the largest Pleistocene collections of azooxanthellate corals from a particular region and the first from Western Australia. 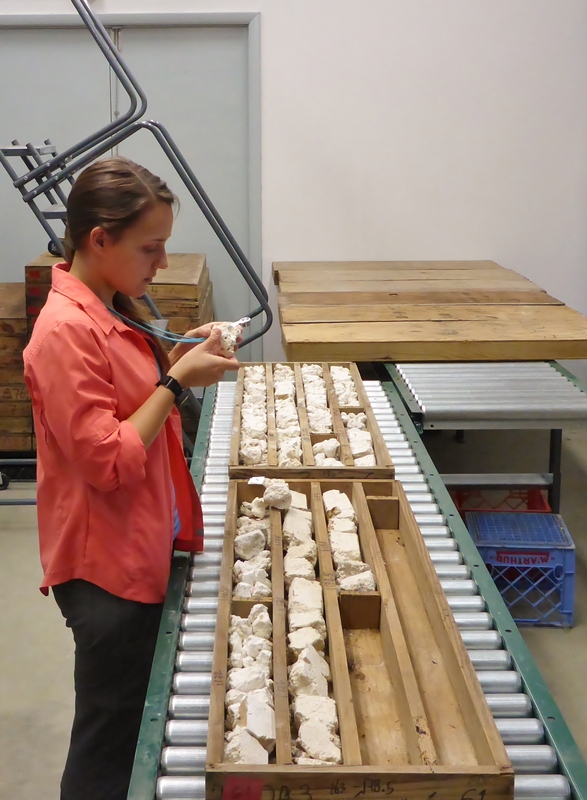 The specimens were recovered in cores along a latitudinal gradient, thereby providing insights to the biogeographic distribution of Pleistocene – modern deep-water coral species over the last ~ 1 Ma. This latitudinal distribution of taxa, specifically tropical versus temperate taxa, along the Western Australian shelf offers clues to the timing and changes in the southern-flowing, warm Leeuwin Current, which is recognized to have “turned-on” during the Pleistocene and enabled the southern migration of tropical marine taxa along Western Australia. Select coral specimens will also be used for isotopic dating to improve the age models being completed by other Expedition 356 scientists. In response to the interaction of diverse natural and anthropogenic influences, modern ecosystems are experiencing novel changes in assemblage composition, distribution, and functionality. Predicting and managing for such changes requires a long-term ecological perspective of ecosystem variability and adaptability. 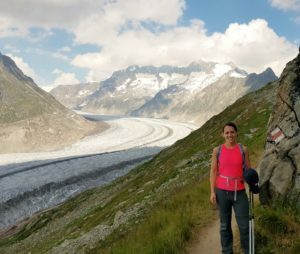 As an ecological archive of geohistorical data, the fossil record provides this temporal perspective. Therefore, using the fossil record, this project tested hypotheses related to the timing, trends, and drivers of ecosystem development, assemblage composition, and species distributions of scleractinian corals during the Middle – Late Pleistocene. This time interval is significant because it represents a time when the Earth’s climate was in a state of transition and environmental change. The Middle – Late Pleistocene (~1.0 – 0.01 Ma) climate is characterized by the intensification of cyclic oscillations between glacial (cool, low sea level) and interglacial (warm, high sea level) intervals. 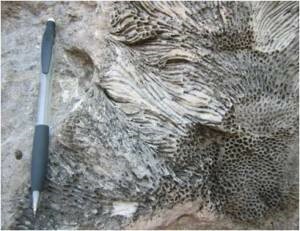 The fossil record, preserving a long-term dataset of coral reef communities composed of extant species, reveals that reef corals have persisted throughout the Pleistocene despite these multiple dramatic climate fluctuations, some of which are similar in magnitude to modern climate change. Although it provides a valuable ecologic resource, the Early – Late Pleistocene history of coral reef ecology remains largely unexplored, particularly in relation to climate changes during this critical period of reef expansion, and persistence, into modern reef ecosystems. Overall, this thesis identified long-term ecological trends in shallow-water coral ecosystem development and deep-water coral diversity and distribution in relation to local, regional, and or global environmental variables during the Middle – Late Pleistocene, when the amplitude of glacial-interglacial cycles were intensifying into the modern climate regime. These results provide new insights to the natural variability of coral ecosystems and their capacity to respond to environmental conditions or changes operating on local to global scales. Such knowledge may improve our predictions about the future of coral ecosystems and their ability to cope with current and anticipated environmental changes. Christensen, B., et al. 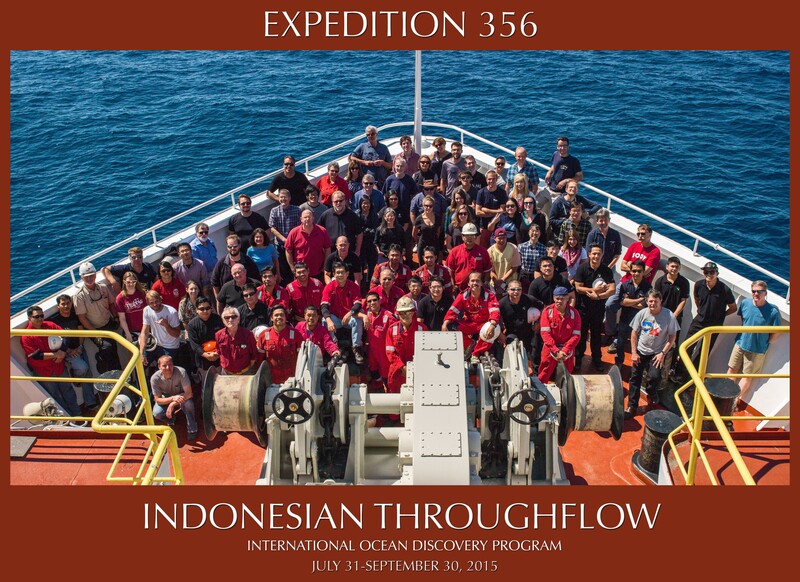 and Expedition 356 Scientists. 2017. Indonesian Throughflow drove Australian climate from humid Pliocene to arid Pleistocene. Geophysical Research Letters 44: 6914–6925. doi: 10.1002/2017GL072977. Groenveld, J., et al. and Expedition 356 Scientists. 2017. Australian shelf sediments reveal shifts in Miocene Southern Hemisphere Westerlies. Science Advances 3 (5): e1602567. 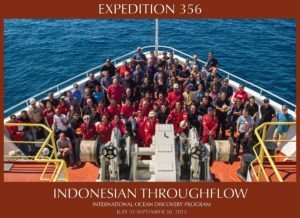 DeVleeschouwer, D., et al., and Expedition 356 Scientists. 2017. Quantifying K, U, and Th contents of marine sediments using shipboard natural gamma radiation spectra measured on DV JOIDES Resolution. Geochemistry, Geophysics, Geosystems. doi: 10.1002/2016GC006715. Renema, W., Pandolfi, J.M., Kiessling, W., Bosellini, F.R., Klaus, J.S., Korpanty, C., Rosen, B.R., Santodomingo, N., Wallace, C.C., Webster, J.M., Johnson, K.G., 2016. Are coral reefs victims of their own past success? Science Advances 2: e1500850. Korpanty, C., Kelley, P., 2014. Molluscan live-dead agreement in anthropogenically stressed seagrass habitats: siliciclastic versus carbonate environments. Palaeogeography, Palaeoclimatology, Palaeoecology 410, 113 – 125. Korpanty, C., Gischler, E., Pelletier, B., Welsh, K., Pandolfi, J.M., 2016, Biogeographic variability and ecological dynamics of Middle – Late Pleistocene reef corals. Geological Society of America Abstracts with Programs 48 (7), doi: 10.1130/abs/2016AM-282430. 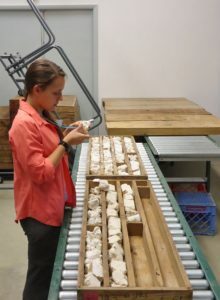 Korpanty, C., Potts, D., Pandolfi, J., Ecological assessment of a Late Miocene coral assemblage near Rowley Shoals, Roebuck Basin, Western Australia. Australian Earth Sciences Convention 2016. Abstract ID: 492. Korpanty, C., Gischler, E., Cabioch, G., Pelletier, B., Payri, C., Butscher, J., Pandolfi, J., Ecological dynamics of reef corals across the Middle Pleistocene Climate Transition. International Coral Reef Symposium 2016. Abstract ID: 28287. Renema, W., Pandolfi, J., Kiessling, W., Korpanty, C., Santodomingo, N., Wallace, C., Webster, J., Johnson, K., Are coral reefs victims of their own past success? International Coral Reef Symposium 2016. Abstract ID: 29241. Cronin, K., Kelley, P., Dietl, G., Korpanty, C., Visaggi, C., Parnell, B., 2014. Comparing quantitative techniques for evaluating live-dead agreement in an intertidal habitat in North Carolina. Geological Society of America Abstracts with Program 46 (6), 137. Korpanty, C., Kelley, P., 2013. Live-dead fidelity of molluscan assemblages in anthropogenically impacted seagrass environments, North Carolina. Geological Society of America Abstract with Program 45(2). Korpanty, C., Kerr, J., Stanford, S., Tedick, A., Kelley, P., Dietl, G., 2013. Fidelity of molluscan life and death assemblages: a five-year study to assess the impact of anthropogenic pressures on a North Carolina tidal flat. Geological Society of America Abstracts with Program 45 (2). Kelley, P., Albritton, C., Kerr, J., Korpanty, C., Tedick, A., Umling, N., Dietl, G., 2013. Diversity and ecological structure of the Canepatch Formation, Upper Pleistocene, Horry County, South Carolina. Geological Society of America Abstracts with Program 45 (2). Greenstein, B., Pandolfi, J., Korpanty, C., 2012. Historical context for the decline of Caribbean coral reefs. International Coral Reef Symposium 2012. Korpanty, C., Visaggi C., Parnell, B., Kelley, P., Dietl, G., 2012. Fidelity of molluscan life and death assemblages: a four-year study to assess the impact of anthropogenic pressures on a North Carolina tidal flat. Geological Society of America Abstracts with Program 44 (4), 16. Korpanty, C., Greenstein, B., 2011. Efficacy of the Curaçao Marine Park: A Pleistocene Perspective. Geological Society of America Abstracts with Program 43 (1), 68 and 43 (5), 501. Korpanty, C., Greenstein, B., 2011. Efficacy of the Curaçao Marine Park: A Pleistocene Perspective. Cornell College Student Research Symposium.